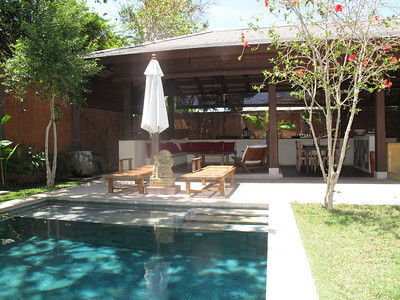 Alanta Villa is a 2 bedroom villa with private pool and high surrounding wall to ensure complete privacy. 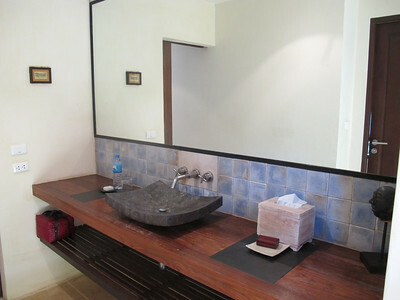 It’s located in a villa complex within walking distance of Klong Khong beach and local restaurants. 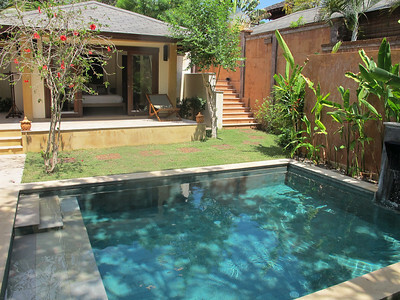 Set in their own secluded gardens, surrounded by a high wall the two bedroom Alanta villas offer complete privacy. 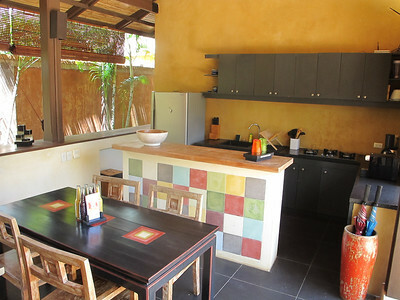 Built only on one level, the villa is built in an L shape with the bedrooms been at one side and tropical open plan lounge, dining room and kitchen being at the other. 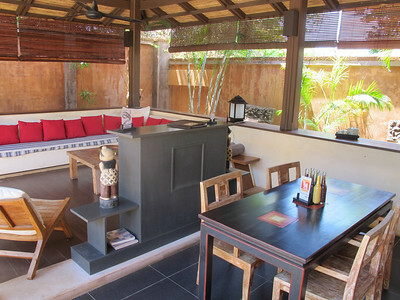 Outside you can relax and enjoy your own private swimming pool and tropical garden. There are four identical villas in total next to each other and every villa is set out the same with decor and colour scheme. 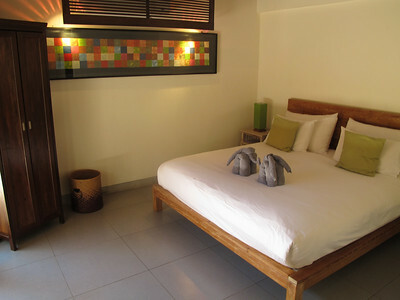 All bedrooms are air conditioned with their own private ensuite out door tropical bathrooms. 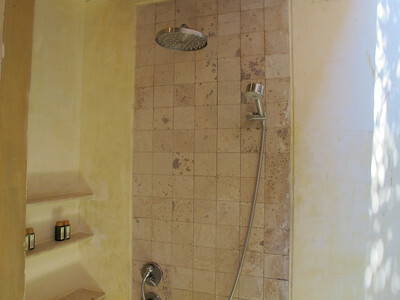 Even though they are out door the bathrooms do enjoy a roof for protection. 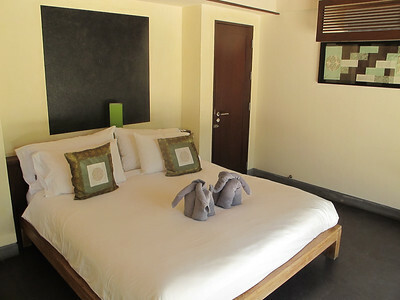 All rooms also have ceiling fans for guests who do not like air con and all bedrooms face out to the pool and garden area. The open lounge and dining areas have ceiling fans. The lounge has an L shaped sofa with TV been housed in a cabinet in the middle of the room. The dining area can seat 4 guests and the kitchen area sits back out of the way, with all the gadgets and cooking utensils to make it feel like home. A short walk will take you to the roadside shops and restaurants. Cross the road you can walk directly to the Klong Khong Beach which is only 800 meters away from the villa. The villa also comes with 24 hours security and and onsite manager who helps make sure your stay is an amazing experience.